Helloooo, thank you to the Regency authors for letting me join your lovely group. My first Regency is releasing from Love Inspired Historical in September and it was a hoot to write. So much so that I’m at work on another. A great regency involves just a bit of ruination…at least for the heroine in my current manuscript. But how canI go about ruining her so that she’s forced into a marriage of convenience? As someone who has enjoyed regency romances since I was a teen, I still have so much to learn. I needed a ruination that was palatable for a Christian audience but still severe enough to force my heroine into the arms of my delectable yet decidedly anti-marriage hero. So the first place I looked was, of course, Google. My dear friend Google. The search yielded many interesting titles but no specific reasons on why or how a lady could be ruined. I really wanted something concrete. Something unarguable. But that showed my misunderstanding of the Regency period. Thank goodness for writing friends! A dear author friend named who has been writing regencies for years informed me that all it could take is some gossip to rip my heroine’s reputation into tatters. And so I got to work in creating ruination. After all, my hero and heroine belong together, even if they don’t know it yet! Has gossip ever hurt you or ruined your reputation? How did you recover? 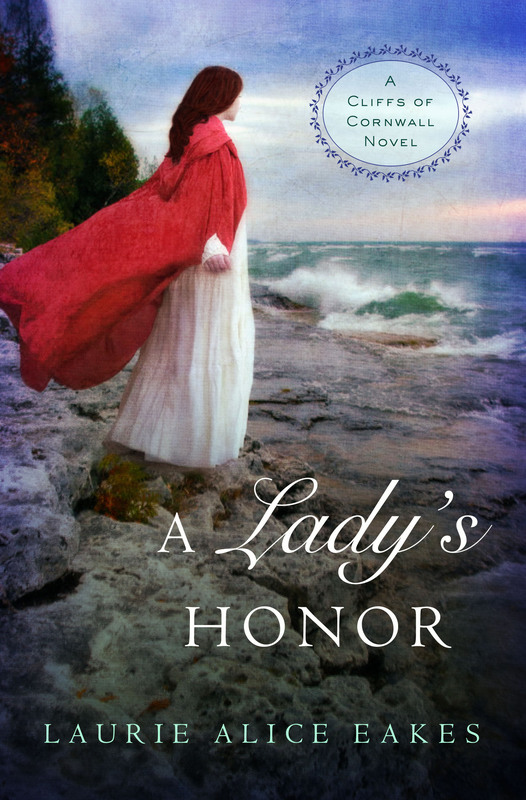 A Lady’s Honor by Laurie Alice Eakes deals with a person’s inability to receive love because they have never really known love. From growing up with her grandparents who love her but demand a certain standard of behavior to having parents who are living off in London society, Elizabeth Trelawny has come to feel she is only as good as the size of her dowry. The story opens with her fleeing from an unwanted suitor–a much older man who wants her for her money, but whose suit has been sanctioned by her parents. 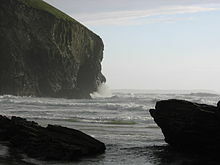 She escapes to her ancestral home in Cornwall, hoping for the protection of her grandparents. They give it, but no sooner is she safely behind the walls of the Cornish estate on a cliff than they are foisting another older man on her. When the hero Rowan Curnow begins to show his attraction, she doesn’t trust his love. Her grandparents try to point her toward the Savior, but she feels their love is conditional–if she behaves properly, they will love her and give her their blessing. If she acts the way she wants to act, which is an unconventional way for a gently-bred young lady of the regency period, they will be shocked, displeased, or, worse, disappointed. It’s not until her life and those of the ones she loves are threatened by an outside danger that Elizabeth begins to understand why she has been running from God’s love all these years and why she has put her trust and love in her ancestral home. A Lady’s Honor takes the heroine on a spiritual journey without which she is not able to give and receive the kind of love the hero both demands and deserves. This was a wonderful story, reminiscent of the gothic novels of Victoria Holt and Daphne Du Marier. I could just imagine being in Cornwall, smelling the sea spray, hearing the tide come up, tasting the pasties at the fair, and shivering at the mysterious threats around every corner. Cliffs of Cornwall series, Book 1, A Lady’s Honor by Laurie Alice Eakes.